Globe at Home Plans are available in [guetta_location]. Globe at Home is not available in your area. View other recommended products below. Reliable internet connection awaits you with Globe At Home Broadband Plans with a speed ranging from 5Mbps to a fiber-fast 100Mbps! 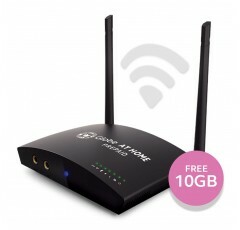 Fast internet access made stronger with a 4-port WiFi router to keep the connection powerful for multiple users. Enjoy access to exciting entertainment content from DisneyLife, FOX+, HOOQ, Amazon Prime Video and iflix. Call your loved ones whenever you want using the free landline and Globe to Globe calls bundled with any Globe At Home Plan. Select from a wide range of internet plans that suit different needs for as low as P1,299. You can get a Go Unli Plan where you can surf and play with no boundaries, or go bigger with a Go Big Plan that can give you a large data cap with fiber-fast WiFi speed. 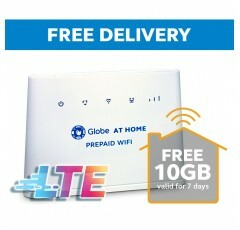 You can also get a Globe At Home Prepaid WiFi that's easy to install and gives you an affordable internet access at home. 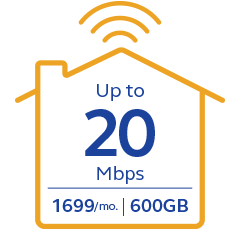 Choose Globe as your internet service provider now. Get a Globe At Home Broadband Plan today at the Globe Online Shop! Enjoy access to exciting entertainment content from DisneyLife, FOX+, and HOOQ. 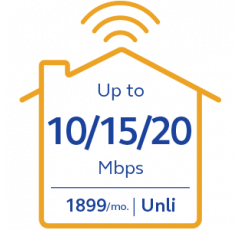 You can also add cool electronics like speakers, casting devices, and gaming consoles on top of your DSL or LTE Broadband Plan! Start experiencing great browsing and wonderful entertainment at the comfort of your home. 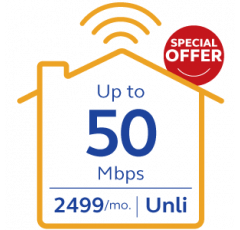 Apply for a Globe At Home Broadband Plan today starting at P1,299 a month. Globe At Home Prepaid WiFi is stronger than Pocket WiFi. It’s plug and play and powered by LTE! Surf, watch, listen, and play with your FREE data. You can easily load and monitor your Prepaid WiFi with the Globe At Home app. Get all these and your 4-port router with WiFi for only P1,999! No documents and monthly fees. 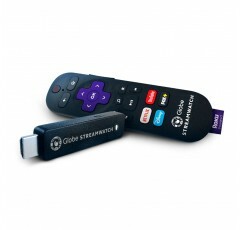 With the Globe At Home app, load and monitor your Prepaid WiFi as easy as 1-2-3!